Murwangi Safari Camp is an area of vast cultural significance. Overlooking the Arafura Swamp, it’s one of the most spectacular locations in Arnhem Land. With special permission from Traditional Owners, Murwangi is now home to Outback Spirit’s new $4 million safari camp. Opening in April 2016, Wastewater Australia tailored and installed a wastewater treatment plant for the amazing camp. The Great Ocean Road is one of the world's most scenic coastal drives. Filled with a diverse range of native wildlife and pristine rainforest, preserving this natural wonder is important to the team at Wastewater Australia. Stretching 243 kilometres along the south-eastern coast of Australia between Torquay and Allansford, this Australian National Heritage site is home to the towering 12 Apostles and some of the most iconic beaches in the world. With views over the Tomkinson River floodplains, the Arnhem Land Barramundi Lodge enjoys an incredible location along an escarpment approximately 18 km’s out of Maningrida. The lodge has now been completely redeveloped with Wastewater Australia fitting a leading edge waste water treatment plant. The lodge's guest accommodation comprises of 12 deluxe safari suites, each complete with luxury furnishings, ensuite bathroom, air-conditioning and front deck. Last year Wastewater Australia was engaged to design and install energy efficient Wastewater Treatment Plants for Outback Spirit Tours. One of these systems was installed at one of the very first luxury lodges in the outback, the Seven Spirit Bay Lodge. The iconic Northern Territory wilderness lodge is located on the western side of Port Essington in the Garig Gunak Barlu National Park on the Cobourg Peninsula. Seven Spirit Bay has received a complete revamp, with a $3.5 million redevelopment completed in April 2016. The original guest accommodation, were completely transformed into ultra-luxurious rooms featuring architecturally designed ensuite bathrooms, beautiful furniture, a front balcony & of course an eco-friendly waste water treatment plant. Last year Wastewater Australia was shortlisted as one of three possible solutions by the Alaskan government to remedy serious water access problems in the northern US state, which had led to a range of health issues. A lack of access to fresh water had spurred the government into looking at ways to install closed-loop recycling systems in homes so water from showers, washing machines and other uses can be cleaned and used over and over again. Wastewater Australia was selected for the international project and the proven technology of the ultraGTS was shipped to Alaska. 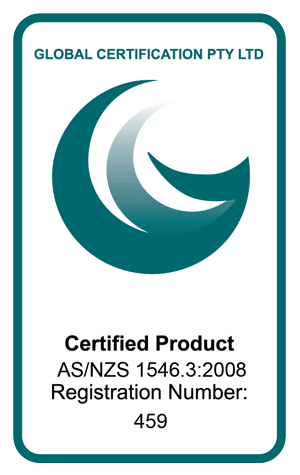 Wastewater Australia is proud to announce that the ultaGTS has been granted re-approval in NSW for another 5 years. The ultraGTS is the most advanced Greywater Treatment System on the market today. The ultraGTS is a state of the art membrane bio-reactor. Wastewater Australia was recently granted approval for its ultraGTS Houseboat System in both South Australia & Victoria. We are extremely excited about this new venture and revolutionary technology. Wastewater Australia was engaged to design and install an energy efficient Wastewater Treatment Plant for an Eco Tourism Facility located at Kandiwal by Outback Spirit Tours. Kandiwal is located on the Mitchell Plateau in North Western Australia. The Mitchell Plateau is home to the stunning Mitchell Falls. Wastewater Australia was recently appointed as the exclusive distributor of the Econocycle products in Victoria. We are excited to announce this partnership and to work with Econocycle to help Australian's enjoy the benefits of wastewater management. Wastewater Australia was engaged to design and manufacture an upgrade to the existing septic tank at the picturesque Peats Ridge Public School. The existing system was failing and the School required an immediate solution with the addition of a new School Hall and Community Centre. Wastewater Australia successfully designed and upgraded the Treatment Plant to a state of the art activated sludge/extended aeration plant. The upgrade was hugely successful and immediate with the new system providing trouble free service. Wastewater Australia exports Wastewater Technology and Treatment Plants to New Caledonia. The first container of Aerated Wastewater Treatment Systems has been exported to Noumea. Wastewaster Australia has enterered into an agreement with a New Caledonian Company, Biopac NC. 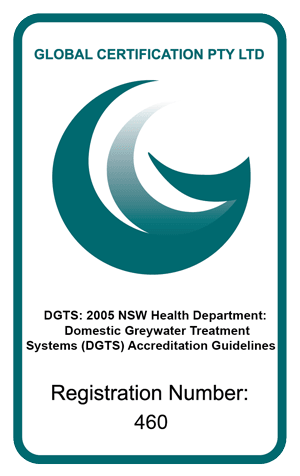 Wastewater Australia is proud to announce that the ultaGTS has been granted approval in NSW. The ultraGTS is the most advanced Greywater Treatment System on the market today. The ultraGTS is a state of the art membrane bio-reactor. Wastewater Australia was engaged to design and manufacture an upgrade to the existing treatment plant at the picturesque Wye River General Store. The existing system was failing and the Store required an immediate solution. Wastewater Australia successfully designed and upgraded the Treatment Plant to a state of the art Membrane Bio-reactor capable of delivering Class A Plus water. The upgrade was hugely successful and immediate with the new system providing trouble free service. The ultraGTS was officially launched today in the Australian Capital Territory by the Chief Minister Mr Jon Stanhope, MLA. Mr Stanhope made the following comments: "As the ACT continues to face the challenges of climate change and water shortages, companies like Water Plus (ultraGTS ACT Distributor) provide Canberrans with the ability to not only help the environment but to also save money." Wastewater Australia was engaged to design and manufacture an upgrade to the existing treatment plant at the picturesque Lynwood Country Club. The existing system was failing and the club required an immediate solution. Wastewater Australia successfully designed and upgraded the Treatment Plant to a state of the art activated sludge/extended aeration plant. The upgrade was hugely successful and immediate with the new system providing trouble free service.